"Who will implement this (interim budget)? Will the new government that will come into being implement this budget? Before election a vote on account is placed," Ms Banerjee said. The TMC chief said after the announcement of the poll by the ECI, the Budget plans cannot be taken up. 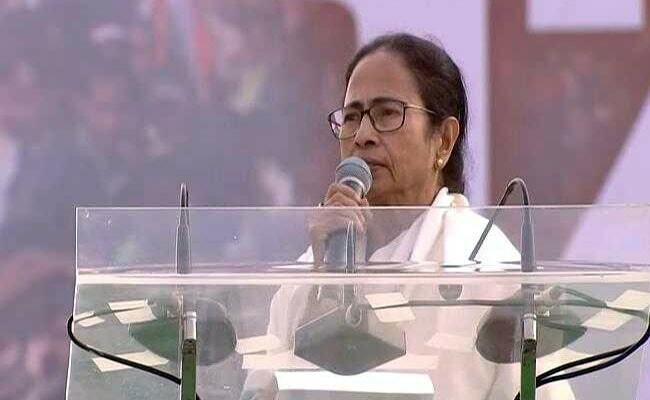 West Bengal Chief Minister Mamata Banerjee said Friday the Interim Budget for 2019-20 had absolutely no value as the term of the NDA government would end soon. "Who will implement this (Interim Budget)? Will the new government that will come into being implement this budget? Before election a vote on account is placed," Ms Banerjee said. The Trinamool Congress chief said after the announcement of the poll by the Election Commission, the Budget plans cannot be taken up. Therefore, the announcements made in the Interim Budget have no value, she said. "The BJP government does not have any moral right to place such (Budget) announcement.... Why did they not announce a single agenda for farmers in the last four years?" she said referring to the Budget proposals for farmers. The chief minister alleged that the country was passing through an economic emergency after demonetisation and the hurried roll-out of the goods and services tax.